Are you buying more on Amazon to beat the start of sales tax? 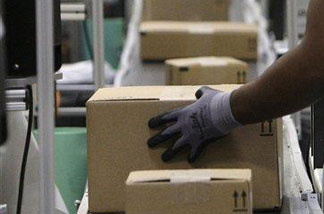 Amazon boxes headed for customers from a fulfillment plant in Arizona. One of the great pleasures of buying online has been avoiding state sales taxes. But Amazon, the giant online retailer, starts charging California state sales taxes of 7.25 to nearly 10 percent on Sept. 15. Are you among those who are stocking up to beat the sales tax imposition? If you're buying now, what are you getting? Pricey electronics? Toilet paper? What's your take on the Amazon phenomenon. Do you welcome the change as a way of reducing competition with brick-and-mortar stores or as a way to better-fund the state and local governments that depend on sales tax revenue? Your response is confidential, however, if you're willing to speak with our reporter about your Amazon buying, look for the permission box below and let us know.